Being social is among the essential part of human life and the internet has played a very elegant role in it. Sites like Omegle let people around the globe have to chat with an anonymous person. These sites generally may overwhelm guys who don’t have a friend’s circle or ones feeling lonely. In this article, we will tell you about Top Sites Like Omegle. 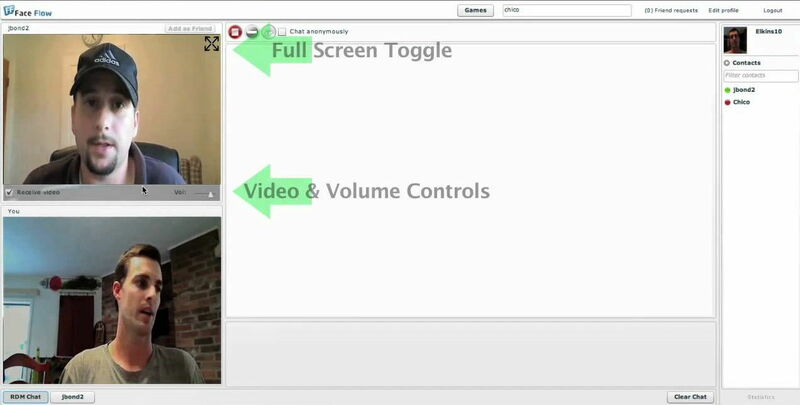 Unlike Omegle, TinyChat lets you communicate via instant messaging, voice chat and video chat. In TinyChat you can talk to anyone you like by joining a chat room with a particular topic. If you wish to start your topic like gaming, comedy, teen, etc. then you can create and promote your room. 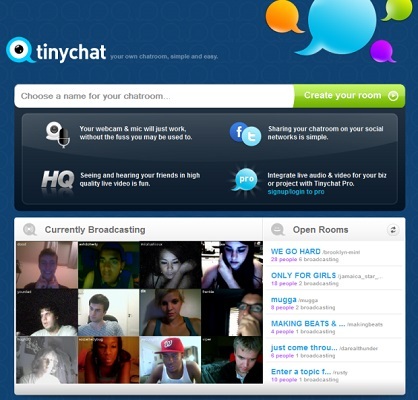 Tinychat is all about creating and joining a room. There can be at most 12 video feeds in a room. To start you own TinyChat room, you have to register an account, and your live video room will start broadcasting. You may also join any room just by tapping on the directory list at the Live Directory section. Chatroulette got its name from the Russian game Roulette. In this application, chats are peer to peer, i.e., you can talk to an individual via video or chat or both. If you don’t like the conversation, then you can kill the chat. To use Chatroulette you have to register an account. As you will open the site, you have to grant the access to your webcam and microphone. After this, you can create an account and then start having a conversation. While having a chat if you encounter any inappropriate behavior then the person will be filtered out. 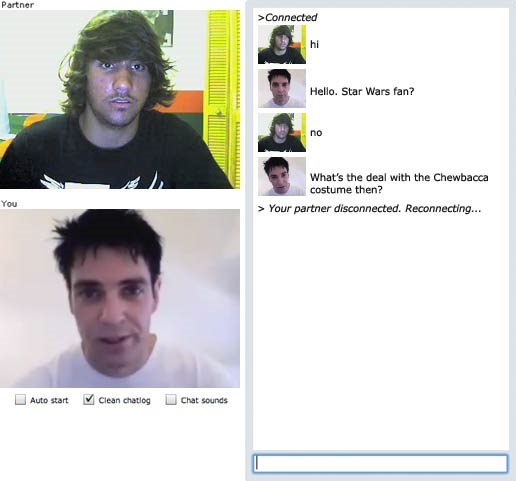 If you wish to use a site just like Chatroulette but with some advanced features then you must try ChatRandom. ChatRandom is a social platform that lets you have a video chat with strangers and that too without creating an account. So visit the site and press the “Start” button and you will find instantly find the person ready to chat. If you wish to change the user, then swipe once, and you will be connected to another person. ChatRandom is available across various countries. If you wish to talk to the person with the specific language then enable the option at the top. And you will be connected with the person as specified by you language-wise. Fruzo is considered to be way more than just platform to meet strangers. It is also an online dating site where you can find a person according to the age, gender, location or keywords. To use Fruzo you need to create an account, the best part, you can link Fruzo’s account directly to your facebook account. And by doing this, you can also find your Facebook friends on Fruzo. Fruzo can be said to be the mixture of Omegle and Tinder, where you can find the stranger as well as you can talk to him/ her using the video chat. You can also organize and manage the friend’s list of Furzo so you will never lose the connections you found here. Just like Fruzo, FaceFlow also allows you to log in with your Facebook account. FaceFlow is a step ahead than Omegle in providing you with advanced features. Some of the best features are you can have peer to peer or 1 on one video chat, group video chat, organize your public chat rooms, send voice messages, share guest chat link, rich text chat, share files and manage your profiles by adding some of your pictures. FaceFlow is completely free, and here you can contact your Facebook friends as well as strangers too. Hey-People is an experimental project, and yet it is highly popular. To start here, you have to create an account and select your interests. Interests make linking easy with the person of similar interests. Once you have set up with your account and interests, click on “zap” and your connection will be instantly established with the person with similar interests. If you like the person, then click on the friendship button to see him again. Otherwise, click on the blacklist button and the person will never be shown to you. Just as simple as that to start a video chat with a stranger. 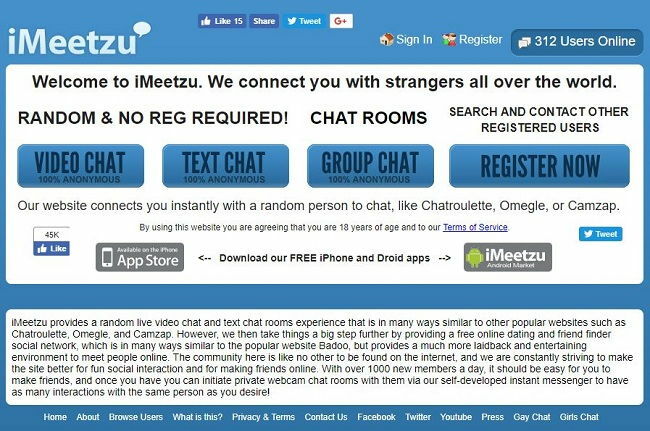 iMeetzu is similar to Omegle in many ways. Here you can find live video chats, text chat rooms and many more. iMeetzu is a growing community with over 1000 new members every day. 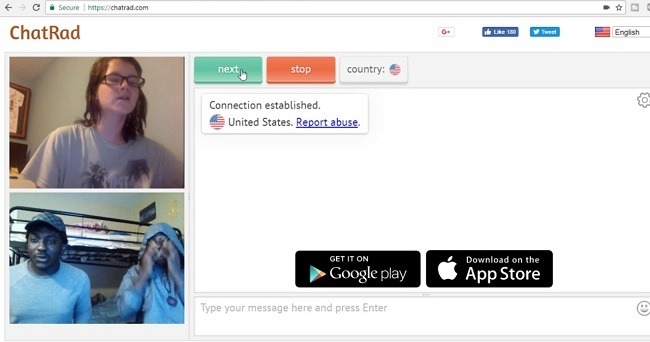 iMeetzu takes the Sites Like Omegle, Chatroulette to whole other new level. It provides a free online dating and friend finder site. 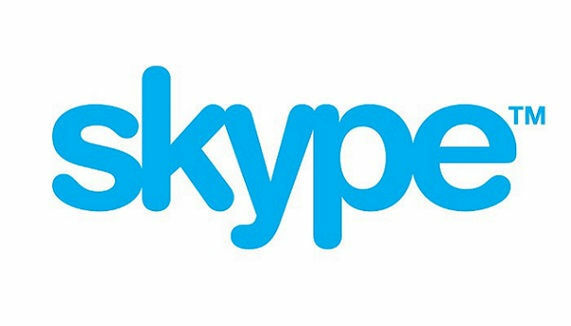 If you wish to talk to a particular person that you had a video chat with, you can do that unlimited times using the self-developed instant messaging apps. ChatRad is a general audience site which filters out the people misbehaving. It is a clean site and forces people using it to act normal as they generally do in their world. As you will visit the site you will see that webcam and microphone turns on. As you will press button “start” your connection will make with a stranger by your location. When you wish to stop the video chat just click on “stop” button. You don’t need to create an account. ChatRad is available for Android and iOS devices so you can use it from virtually anywhere. FriendFinder is a video chat Site Like Omegle, but with a slight difference, i.e., here you can find the person by giving certain details like the person you are seeking, age range, country, province and zip code. If you like the person from the list that is the result of your search then you can start the video chat. FriendFinder has very simple user interface so you can easily get through it. If you wish to use a social platform to chat with a stranger but you don’t want very high profile platform then Chatpig is perfect for you. Chatpig is nearly as same as Omegle. Here you can have video chats with a person or you can join any chat room. To have fun with Chatpig you need to enter a username, gender, age. Once you have filled all this information you can join any chat room. Chatpig has categorized chat room into various sections like a chat with guys, chat with girls, meet guys, meet girls and many more. In today’s world, you will never get satisfy with the entertainment show. Deeper you go into these Sites Like Omegle the more you will want from them. Though we have mentioned many Sites Like Omegle according to my personal use, I would say that you should go on to Chatroulette. But if you wish to explore the world, you should try all of them as you will better understand these platforms. Though all of the platforms mentioned above claim to be secure. 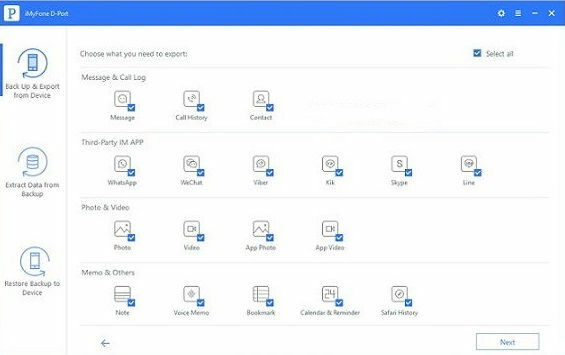 Still try not to give any personal details on such platforms. iMessage for PC is quite possible to use. When talking about the most popular services offered by the Apple ecosystem, iMessage happens to be one of them. Believe it or not comma there are many years or so choose Apple ecosystem over others only for the benefit of having iMessage in their everyday lives. But, my first love the features of personality is offered by an iMessage on PC. But it is possible that we might desire the Features of iMessage and also want to keep our Windows OS without buying two separate devices. Thankfully, it is possible to merge the two and Download iMessage on PC that Leon your Windows operating system. What Makes iMessage for PC So Special? 1 What Makes iMessage for PC So Special? 4.1 How to Export Files? 4.2 How to Scan for Devices? 4.3 How to Preview Data? 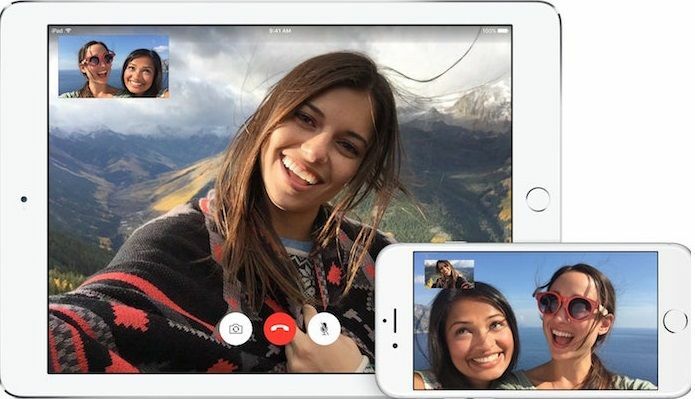 Unlike any other messaging services, iMessage For Windows is completely coherent with its operating system and its environment. Once you have been invested into the Apple ecosystem, you will understand the value of having your messages available across all of your devices. Without having to fiddle around in order to look for them. And the fact that you can get that functionality, well. At least most of it, on your Windows PC makes it all the more exciting. So, this article will go through some of the steps by which you can Download iMessage for Windows PC and install it. 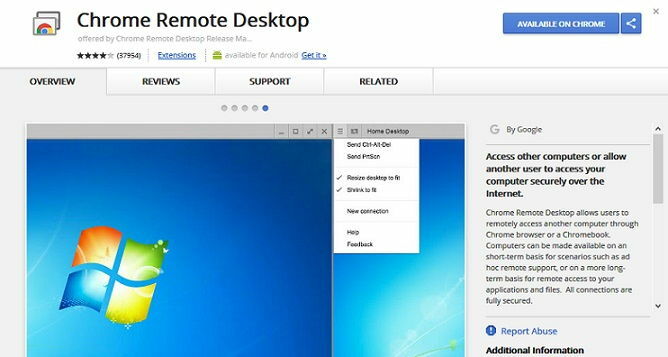 We can Download iMessage on PC by using the Remote Desktop Feature present on the Google Chrome browser. Step 1 >> The first mobile you’ll have to get your hands on a Mac OS based device in order to get iMessage For Windows PC. 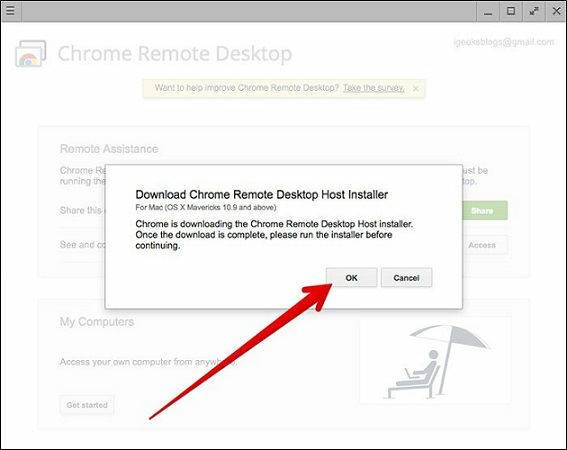 Step 2 >> No, you just have to Download Google Chrome Remote Desktop App for both devices. It is available on the Chrome Web Store. Copy and Paste this link into your Chrome Browser. 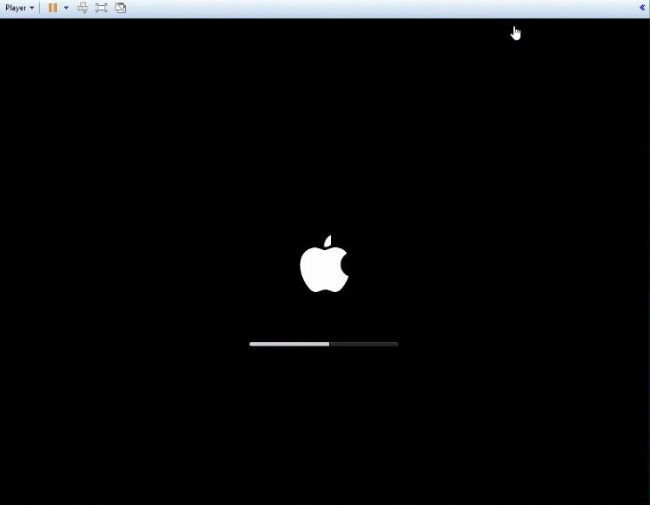 Step 3 >> Launch the app on the Mac. You will have to exclusive Download the Remote Desktop Installer on the Mac and then launch it. 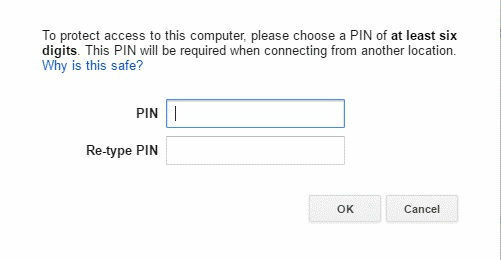 Step 4 >> After going through the initial steps, you cannot connect your Windows and Mac computers with the help of a simple pin. Then you can run Apple iMessage For PC. 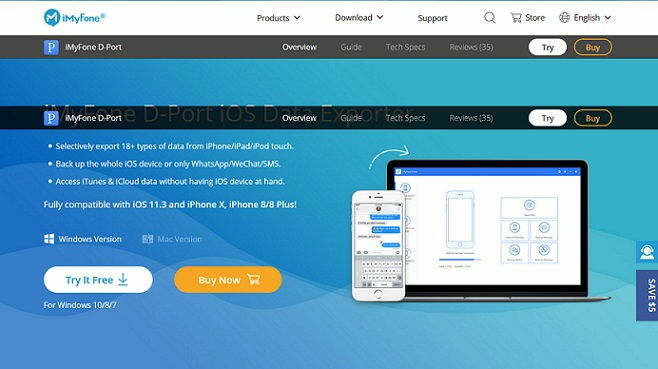 Jailbreaking your Apple iOS device means merely that you breach the kernel and remove any kind of restrictions that the company has set on your user profile. It’s a lot similar to rooting an Android phone. Be aware that you are voiding your warranty in exchange for 0Super user privileges. 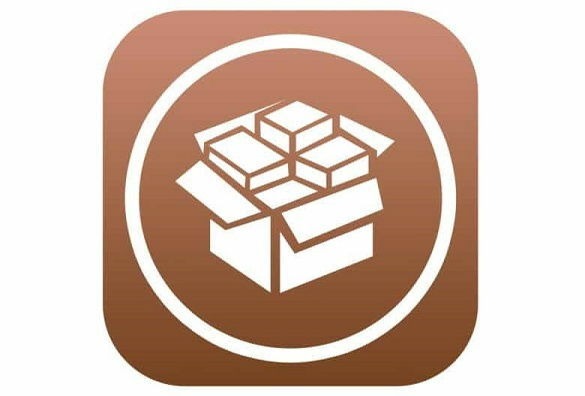 Step 1 >> On the jailbroken iOS device, you will have to install software known as Cydia. Step 2 >> You will have to search for an application called remote messages which will cost you approximately $4 to get. Step 3 >> Then you will now be provided with a web interface with the specific IP address. That you can type in your browser and access messages. You will, of course, have to login in order to get full access to the messages present on your iMessage Online App on that iOS device. An emulator is a software. It mimics the functionality of one app in another environment where it may not have been supported earlier. So naturally, there are Emulators available which will Emulate Apple’s ecosystem on your Windows PC, so that you can Use iMessage For PC. Step 2 >> Download the EXE file of the emulator and then install it on a Windows PC. Once installed, open it. Step 3 >> After accepting the terms and conditions, you should now be able to launch iMessage on Windows 7/8/10 without any problems. This method does not allow you directly Use iMessage For PC, but it can come handy in an emergency situation where you have to access some of your recent chats which you had on a Mac or iPhone. Once you have installed it, you can easily transport your photos videos and other media from your iPhone all the way to the PC. Allows real-time preview before exporting so you know which ones to select. This data exporter to help you view your iCloud backups which were otherwise unreadable. 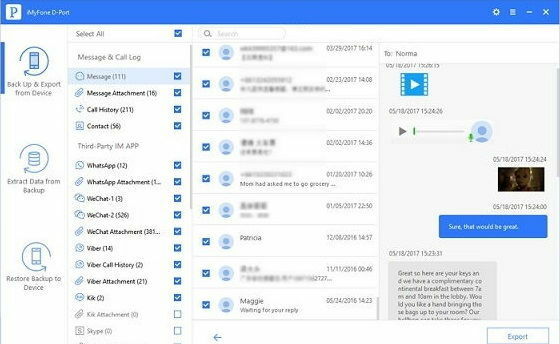 It supports a ton of different file types such as voice messages, WhatsApp messages, notes and more. In order to export files, first, you have to click on the “export from iOS device” tab. Then select the start option. Then come across the file types that you need to export and then click on the next button. 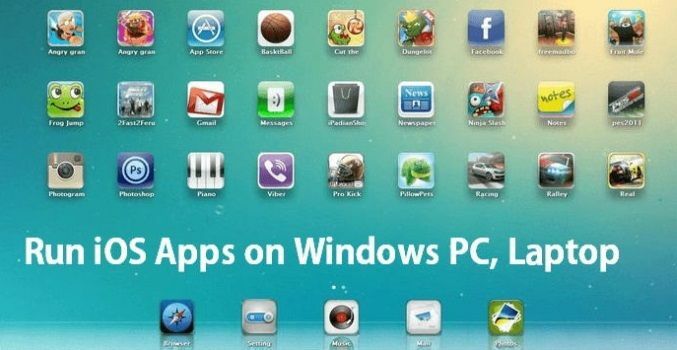 The software will ask you to connect your iOS device to the PC. Afterward, simply follow the simple instructions. How to Scan for Devices? You need first to connect your device and then click on the scan button. The software will begin to scan your device. Depending on the amount of data that you have on the device, the time is taken to scan it will vary. 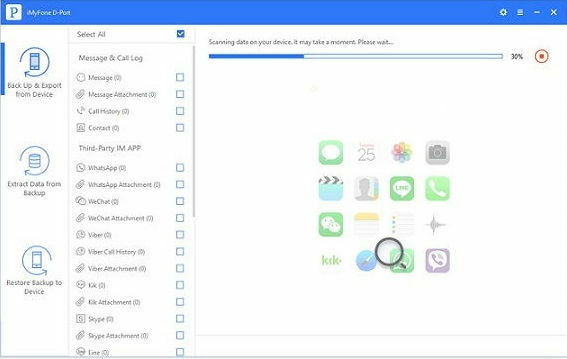 After scanning your device, how the data in iMessage on PC will be displayed. You can individually click on them and select the data that you desire. After that, you can click on the export button which is present in the bottom right corner of the window. 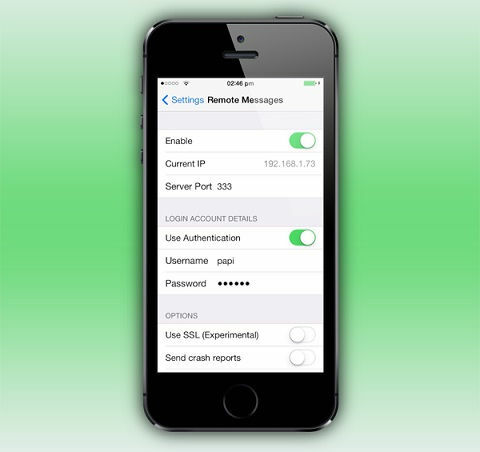 Are you sick and tired of iMessage Waiting for Activation Error in iPhone or iOS? It happens when you’re setting up a new phone or switching phone numbers then, you face the iMessage Activation Error. See how to fix it in a few minutes Step -by-Step. Step 1 >>Turn Off/ON iMessage and Reset Your Device. Step 2 >> Open Settings app → Messages → Turn off iMessage. Step 3 >> Now, Restart your iOS device by pressing the Power Button and Home button at once for 10 seconds. Step 4 >> Now your device has restarted, now you may turn on iMessage App. This is not a feature features of a message where it shows you a preview of the URL. That you posted in the text box. Modern-day WhatsApp has taken cues from this and has greatly benefited in terms of its popularity. My message app includes a drawing feature on its keyboard where you can just Doodle directly on the app. All you have to do is tomorrow on an iPhone call switch it to an escape mode. It will show your new option known as the drawing keyboard. Just start drawing in the white area by dragging your finger around. You can add effects to your sending messages by holding down the send Arrow on a message. It might sound like a simple think mark but can be incredibly addictive on a personal scale. iMessage in Windows has tons of fun and colorful stickers built into iMessage Stickers which makes the chatting experience that much lively. Your modern Dairy social media and chatting apps do Hike messenger have taken cues from this feature of iMessage For Mac. You can Download iMessage for PC by following the above steps. There are plenty of small flash based games built into iMessage on PC that you can enjoy playing other than chatting. This makes iMessage one of the best all-rounder apps that you can get for your Windows PC. There you go. 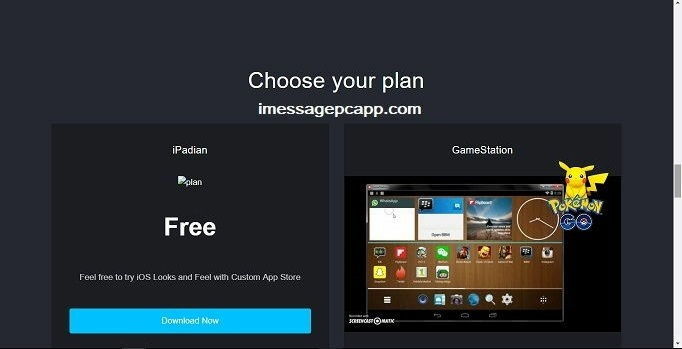 These were the best methods by which you can install and use iMessage For PC. You can probably stop your search at this point because inevitably one of these four methods will work out for you. The first method is ideal for those who have multiple devices and their work and home environments. If you have access to a Mac OS device at work and have a Windows PC at home, or vice versa, the first method is best suited for you. If you are into jailbreaking your iPhone, or already have a jailbroken device, the second method is probably the best-suited one for you. The third one is the one which most people would prefer. Which is installing a third party Emulator to do a job for you. It is the more natural method if you do not have access to multiple devices. It is also preferable because the emulator simulates the Apple environment on top of your Windows OS (Operating System). So this takes care of most of the problems that iMessage Windows App faces during its execution. The last method is kind of an archive extraction method. Where you access previous chats, but you cannot start new ones. It also has Its use cases with many people, I am sure. I hope this article answered all of the questions and doubts that you had regarding this topic. GarageBand for Windows is a question of many doubts. As you might already know, Apple’s ecosystem is entirely built around Giving Wings to creative people in society. The amount of creativity and ingenuity present in their built-in tools is almost second to none. One search tool or software which is filled with so many fun features that could get your creative juices flowing is Garageband For Windows PC. GarageBand For PC is a tool by which you can create your fun music and make it sound incredibly professional at the same time. Also, as you might have imagined, it is exclusively available on Apple’s Mac Operating System. But what if you are a Windows user who also loves Apple’s creativity in GarageBand? Are you completely left out of the fun and Adventures of the app? Thankfully, no. There is a way or should I say ways by which we can Download and Install GarageBand For Windows Free! So let’s get straight to it then. The numerator is nothing but a virtual software that can mimic the functionality of one platform on top of another so that you can run apps designed for one on some other Operating System for which does not support natively compatible. Search Party office that you can get yourself in the emulator which mimics the Mac operating system on top of your existing Windows operating system so that you can run the wonderful GarageBand For Windows 10/8/7. 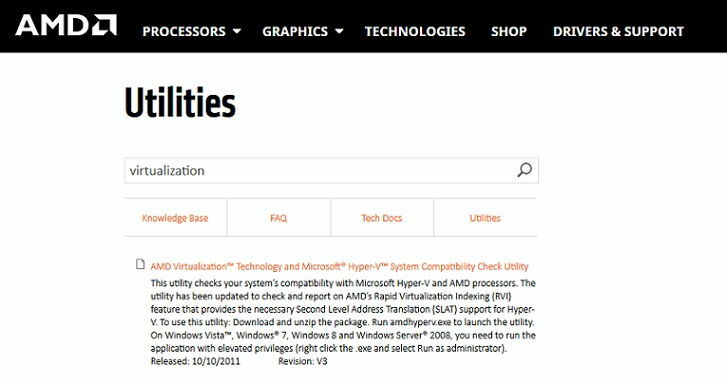 If you are running on AMD based environment, unit not that have to check before and weather system is compatible with AMD-V or not. Step 2 >> It is in the form of a compressed folder extracted to a location in your PC. Step 3 >> Open the extracted folder and then launch an app that says AMD Hyper-V. It’s better than you right click on it and run it as an administrator. Step 4 >> If your system is not AMD-V compatible, you might get a message to like this one. After I have confirmed your AMD compatibility, you have to download the virtual machine ever later known as VMware. 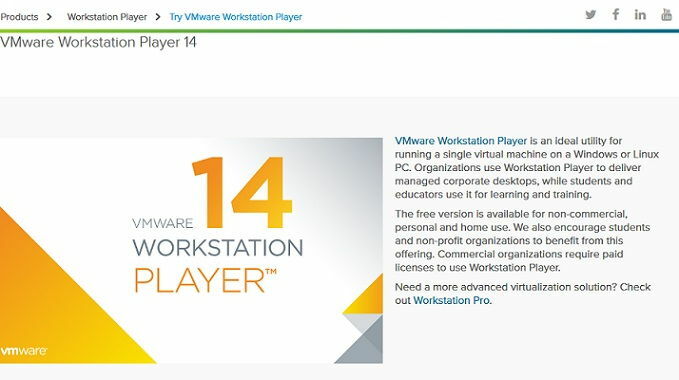 You can use other software as well, but I am very well familiar with VMware, and I feel it is the best one around. Step 3 >> Also, you’ll have to enable virtualization from your BIOS settings in order to run the operating system in 64-bit mode. 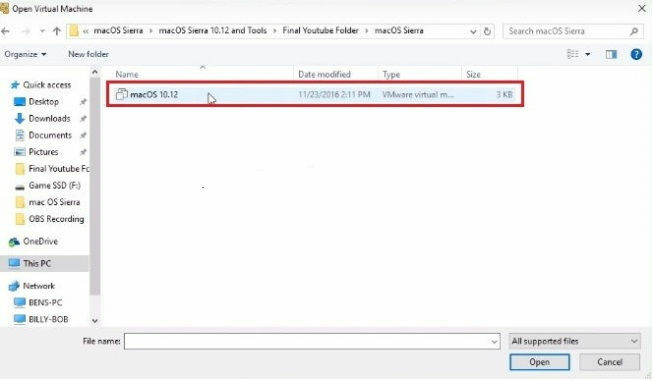 Step 4 >> Once you have downloaded the Mac OS image, extract it to a location on your computer. 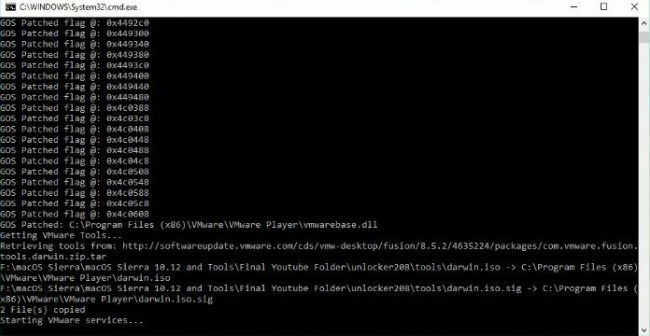 Step 5 >> Navigate to this path: macOS Sierra > macOS Sierra 10.12 tools > Final Youtube Folder > unlocker208 and locate a file with says Win-install. Right click on it and run it as administrator. Wait for all the things to complete in the command window that opens afterward. Step 6 >> You can open VMware and then click on the option that sells open Virtual Machine. You will then have to navigate to the same path as Above and then select the OS image over there. Step 7 >> Now that you have loaded up MacOS, you’ll have to change the system resource allotment to it. To do that, click on the edit Virtual Machine Settings. Step 8 >> Just select the processor and Ram allotment to get the best experience out of your virtual machine. We recommend allotting half of your CPU cores and half of your Ram to the virtual machine. 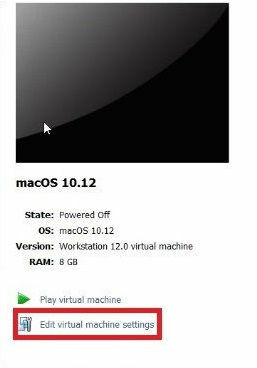 Step 1 >> In order to boot up Mac OS coming after click on the Play Virtual Machine Option. 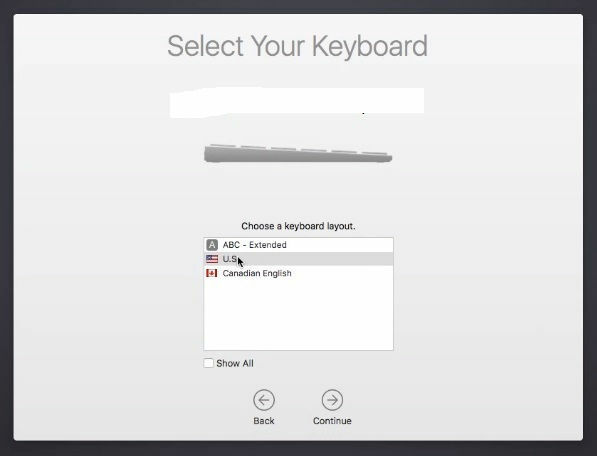 Step 2 >> After the Apple logo WhatsApp for about 5 to 10 minutes you will credit with the welcome screen where you will have to select your country and your keyboard preferences. 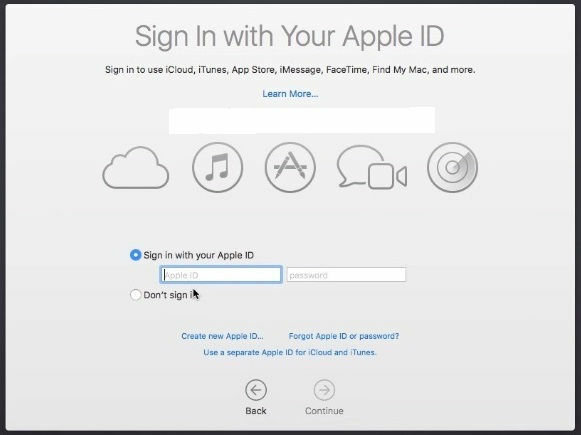 Step 3 >> You then have to sign up for an Apple ID on the virtual machine come on because you will need that for just about anything in Mac OS. Step 4 >> After you skip all the unnecessary steps, you will load onto the home screen from where you can search for GarageBand in the Taskbar and then install it GarageBand For Windows 10. There you go! You have now successfully installed GarageBand on a virtual machine running Mac OS which is running right on top of your Windows PC! Step 2 >> Installed at all you have to do is search for GarageBand for Windows Free Download and install the first option you see. Step 3 >> After that come on GarageBand For PC. Enjoy! Supports a large variety of musical instruments that you can operate with nearly real-world accuracy. And compatible devices, you can have multi-touch support on the instruments present on Garage band For PC. So you can have pretty much a real-world experience when using the musical instruments on there and not a tasteless digital feel. The Equaliser built on to the GarageBand app is exceptionally advanced. So, this enables professional musicians or even casual creators to have the best experience while using the app to create music. With GarageBand on Windows, you can easily share your work with others in the community or with all your devices using the iCloud drive. Using this app, you can create your custom ringtones and other notification tones, and be truly unique among your friends. So there you have it. These were the two best ways by which you can get GarageBand For Windows PC. Hope you found this article helpful. If you don’t mind downloading a sizeable operating system image file, go with the first method. Then download the VMware Virtual Machine first. It will take a lot of time to set up. It might be worth it by giving you a smoother experience in the end. What if you don’t want the full operating system features and only want GarageBand for Windows PC? 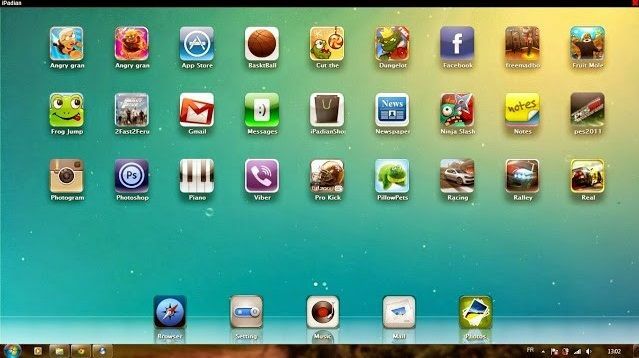 You can go with the iPad and method and save yourself the trouble of downloading that sizeable working system file. Enjoy!